Helical Piers: Can they Bend or Buckle? There is no material that can’t bend or buckle under the right pressure. No matter how strong the material, there may always be a rare circumstance that leads to buckling. Every material has its own limitations and it’s important to understand those limitations before a build. Helical piers are slender and drive deep into the soil. If your structure’s length is above its width, the tension may increase on the piers. So, when will the pier buckle? This might seem like common knowledge, but the heavier and greater the load of the building, the larger the pier’s capacity needs to be. The width of the pier determines the capacity. For instance, the wider the diameter, the more the pier can handle before it bends. Now, along with the size and shape of the pier, you also need to consider the stiffness of the soil. The more consolidated the soil, the less chance there is of buckling. Of course, even with the best soil, helical piers can still be weak if their bearing too heavy of a load. An experienced designer knows the rules of keeping a structure stable. He or she will know that if a pier is attached to a mass at the top, it may reduce buckling. If the building has to move for the pier to buckle, then you’re in good shape. A designer has to be aware of the importance of load on the pier, type of soil and shape and size of the pier. 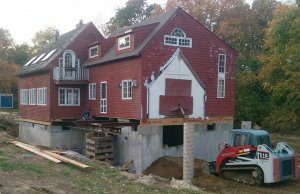 When you know the factors that go into keeping helical piers standing, you can make the right decision for your building. You never want a foundation that could collapse or buckle. When a pier bends or buckles you could lose your home and property. When installed correctly by a professional, you won’t have to worry.